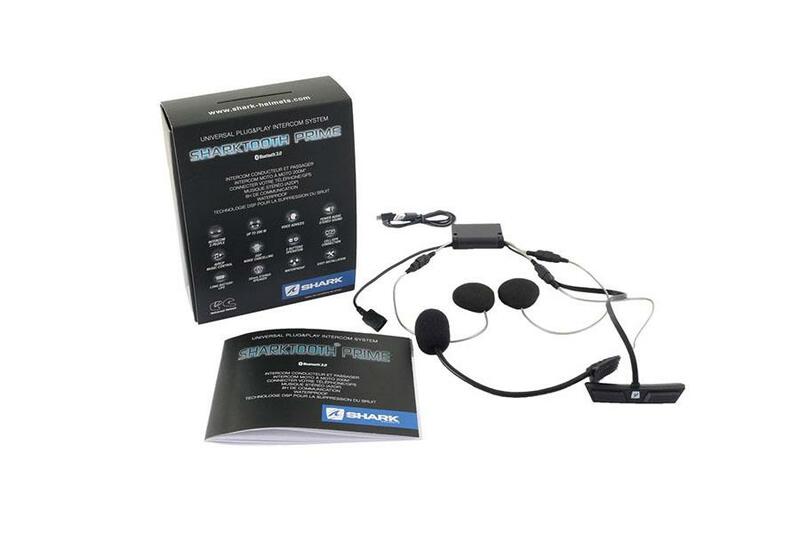 Helmet firm Shark have introduced an updated version of their Sharktooth Bluetooth system – the Sharktooth Prime. The system lets you listen to music, follow GPS instructions, make and receive calls or communicate with another rider or passenger by connecting to their universal intercom system. The rider-to-rider intercom has a range of 200m, the rechargeable battery has a life of eight hours and the system fits easily into all Sharktooth-compatible Shark helmets. All the features can be operated via the innovative two-button control panel, which fits on the outside of the helmet and is 100% waterproof. The system comes with stereo headphones and costs £110.